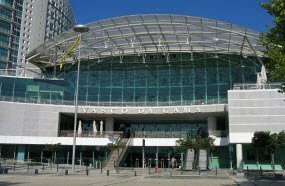 Under its roof Vasco da Gama Centre houses over 160 stores and boutiques which feature both world-known brands and Portuguese designers. There is also a huge hypermarket on the ground floor. You may spend a lunch break in one of its 36 restaurants. If you are also looking for entertainment, you are sure to like the movie theatre with 10 screens. Some other interesting options include the health club and the fine view of the city and the river from one of the upstairs café terraces. 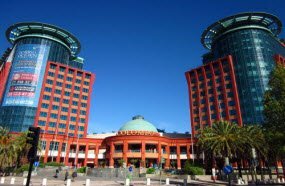 Colombo is one of the biggest shopping centers on the Iberian Peninsula. It comprises up to 400 shops filled with items of all types. The favorite shopping destination for kids is the Disney Store outlet. In the centre there is a huge hypermarket and if you are searching for a place to eat there are about 70 restaurants to choose from. Entertainment area includes a multiplex cinema which screens films in their original language. 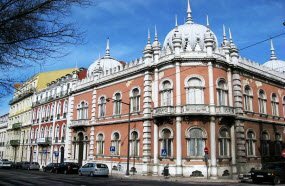 Embaixada is an 18th century building of a former palace transformed into the shopping spot. It features over a dozen of boutiques selling clothing, shoes, handmade jewelry and eco-friendly cosmetics mostly from the Portuguese producers. Here you may also find the best examples of Portuguese handicraft, including lamps, mirrors and ceramics.